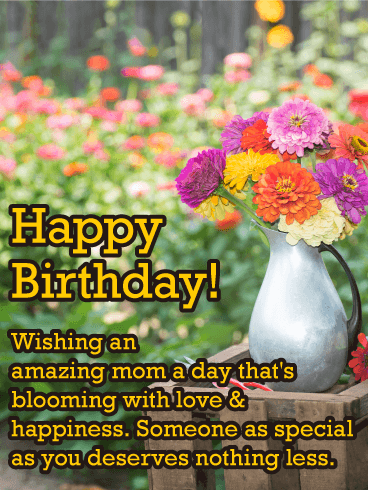 Delight mom on her birthday with this sweet, garden-themed birthday card. 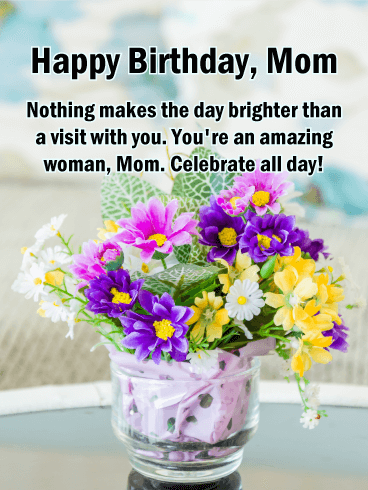 A colorful pitcher of flowers sits waiting to be displayed, reminding her to take time to enjoy all the beautiful things around her on her special day. 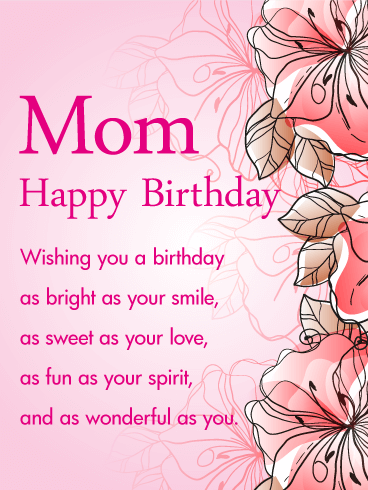 And your caring words will do so much to make her face light up with love & happiness. 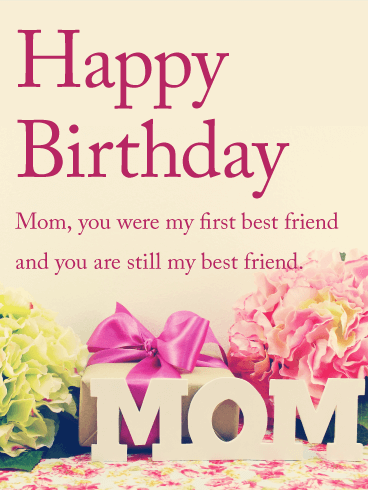 They say you can't pick your parents, but if you had your choice, you would choose your mom every time! 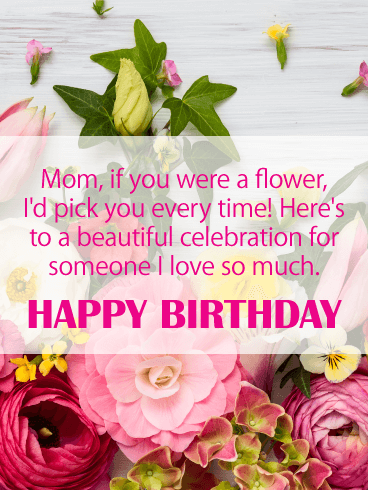 Celebrate everything that makes her so wonderful with this lovely birthday card, featuring a charming floral motif to let her know how much happiness she brings to your life. 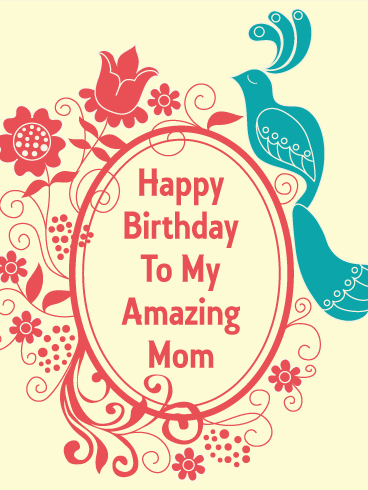 Your mom is amazing in every way. 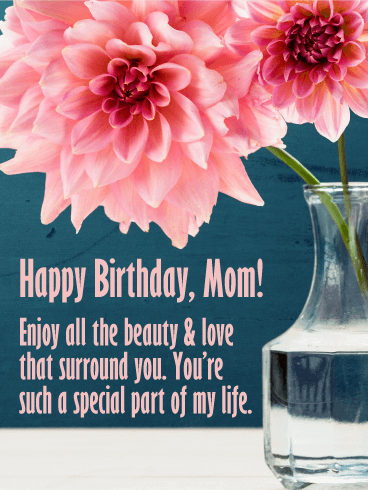 Let her know by surprising her with this heartfelt birthday card. 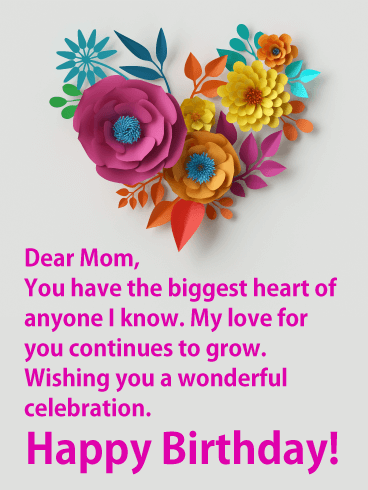 Sweet pink flowers and a pink heart in the background bring a beautiful touch to your thoughtful words, wishing that all the wonderful things about her come right back to fill her day with happiness. 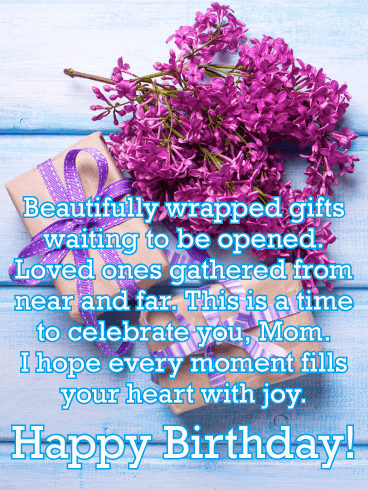 A stack of beautifully wrapped gifts sit waiting to be opened against a rustic wooden background, creating the perfect setting for a special birthday celebration for your wonderful mom! 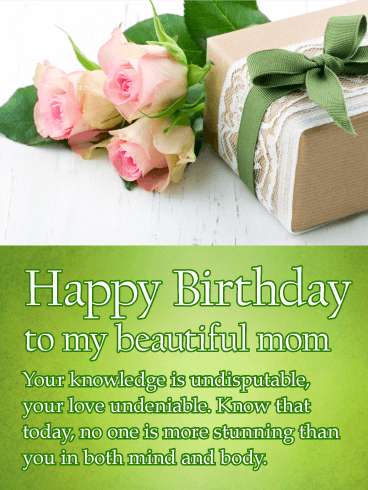 It's a chance to let her know that this day is all about her, while hoping that every moment fills her heart with joy and love. 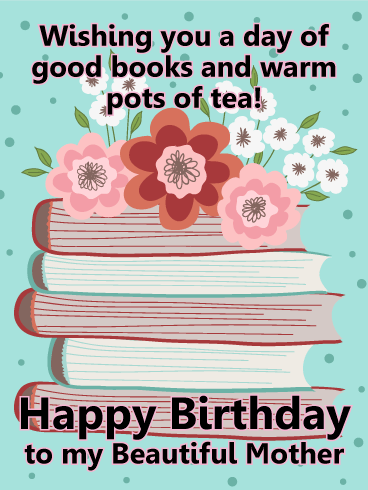 There is nothing quite so comforting as a cup of tea and a good book! 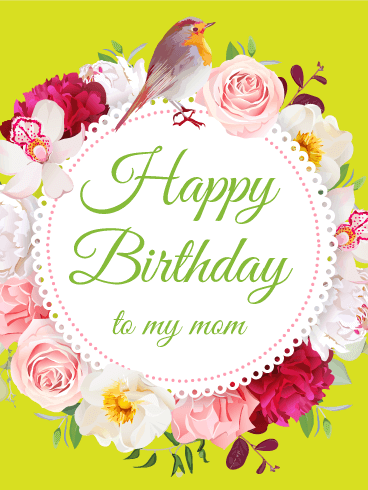 Sometimes the best birthdays are the quiet ones. 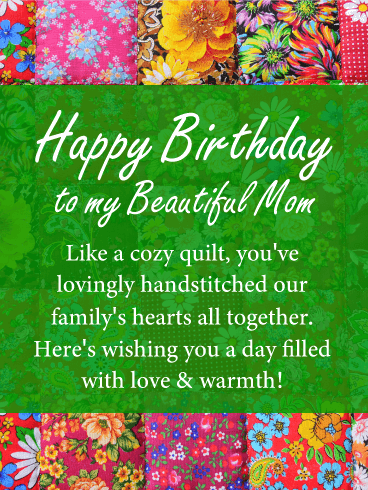 If your mom loves to curl up with a good book, then this charming little card will speak right to her heart. 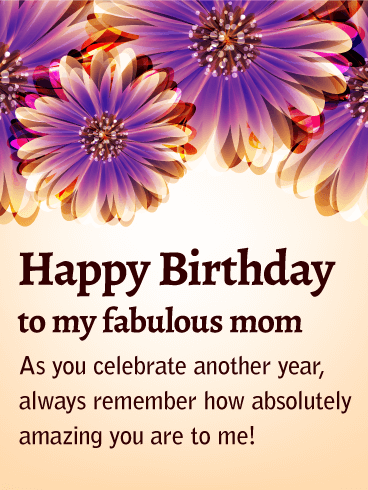 Remind your mom to take a step back from the bustle of life, and indulge in her favorite pastime this birthday-reading! 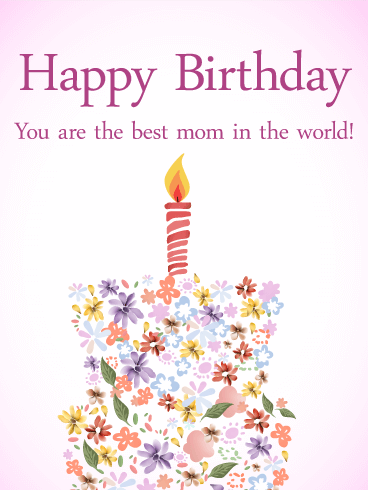 A mom as fantastic as yours deserves to be celebrated with a special birthday card like this one! 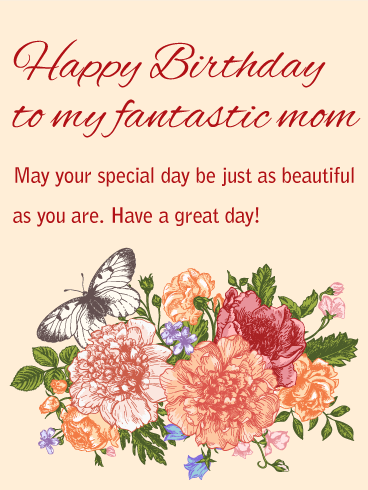 A burst of feminine flowers, joined by a charming butterfly, create a serene and peaceful background, letting the words really shine. 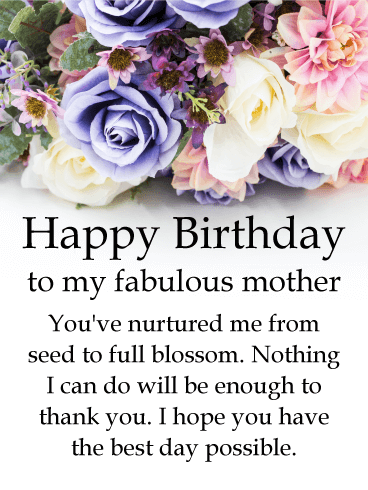 And while the message may be simple, the meaning behind it says so much: "May your special day be just as beautiful as you are". 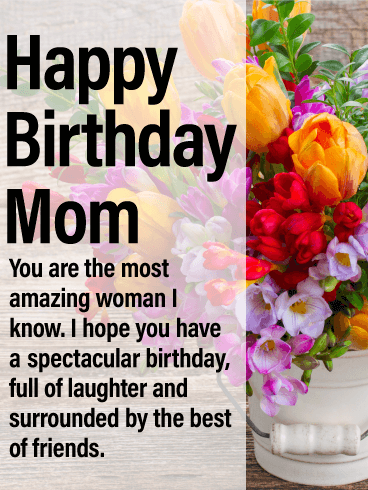 What a wonderful way to bring a smile to her face! 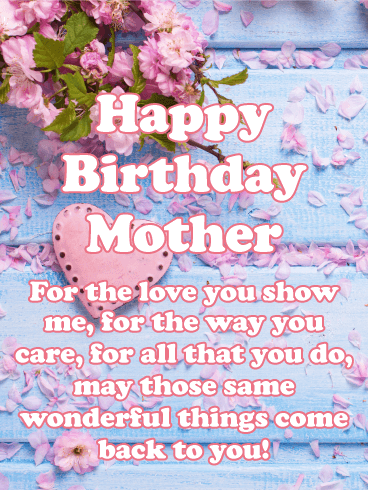 Shower you mother with love on her birthday! 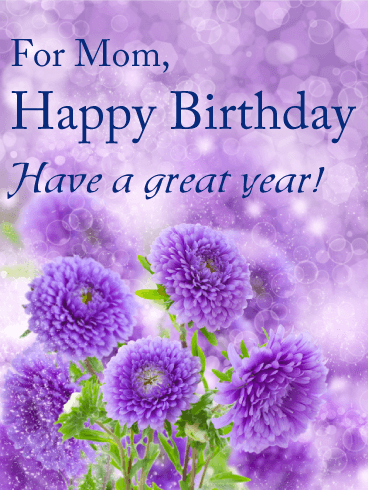 This purple birthday card is light and breezy, bringing with it guarantees of a great year. 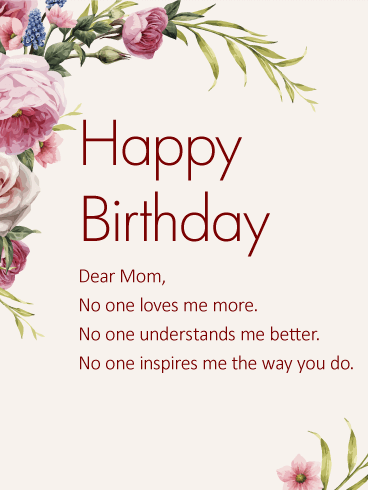 The flowers are perfect, serving as an undying expression of you love for you mom and your desire for her to enjoy the upcoming year. 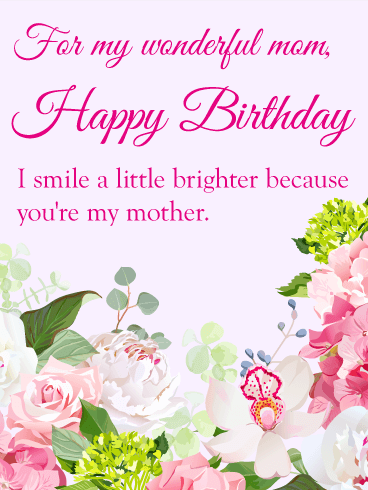 Make her smile brighter than ever by giving her this birthday card! 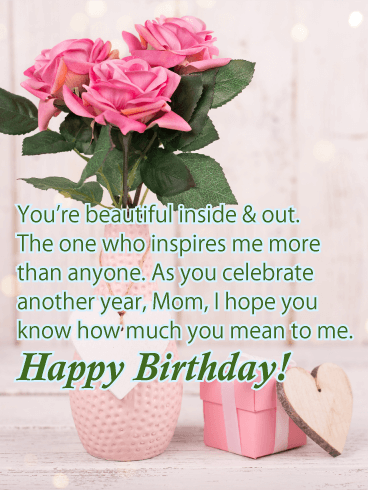 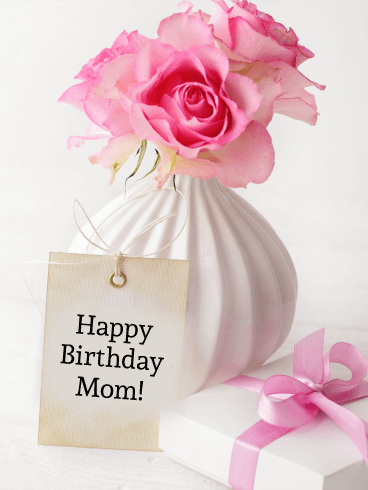 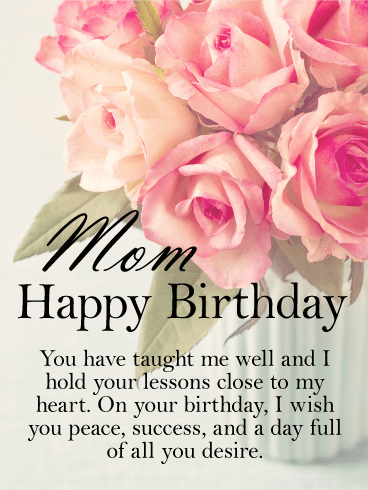 Simple says it best in this elegant birthday card for your mom! 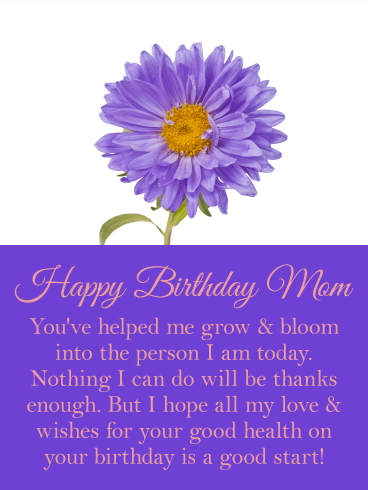 These inked flower bloom to release the love you feel for your mother. 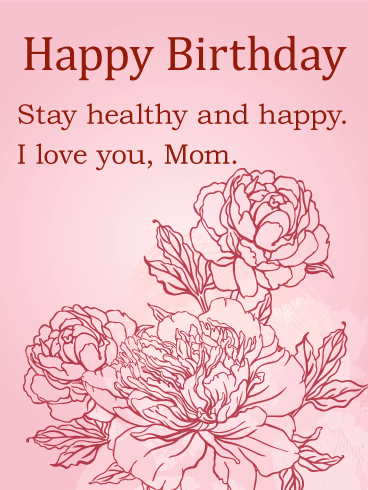 They send health and happiness your mother's way, bringing your gift of strength. 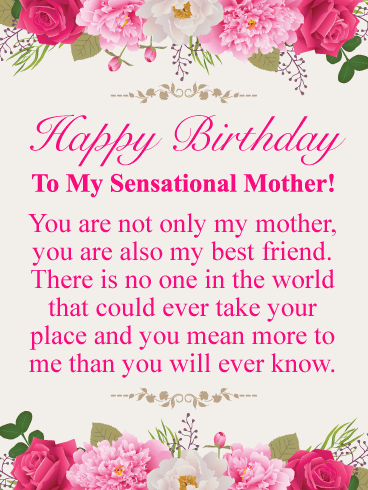 This is the perfect birthday card for a son or daughter to give their mother for her birthday. 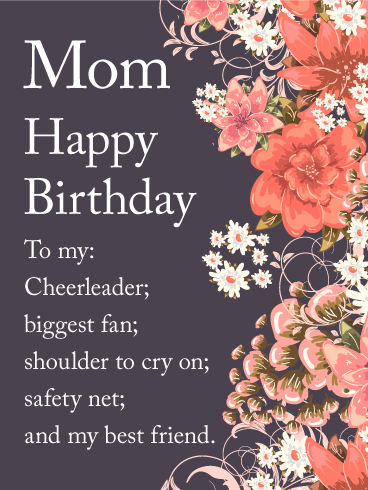 Send this card to gift her with all she needs! 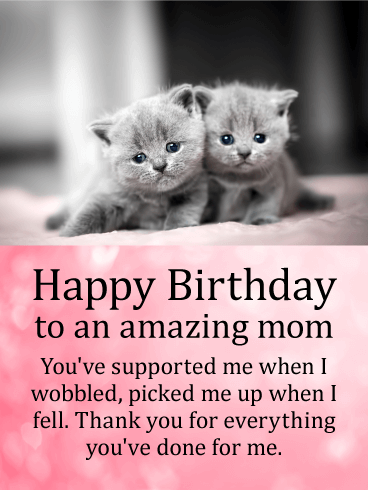 A birthday is the perfect time to let your Mother know how much you love her! 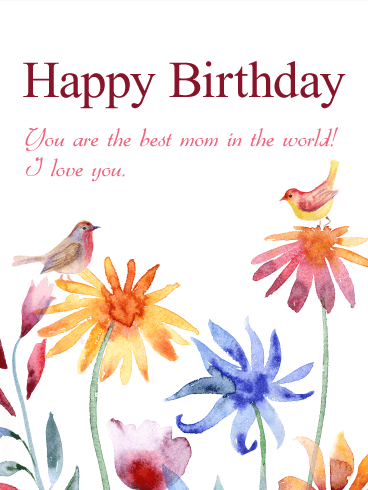 This birthday card is absolutely gorgeous with delicate, watercolor flowers. 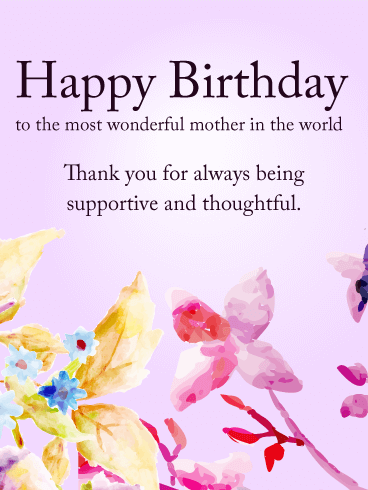 She will love the pretty pastels and the sincere message. 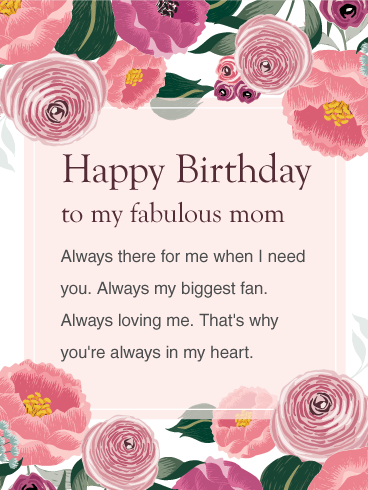 Send this birthday card to let her know how much you care. 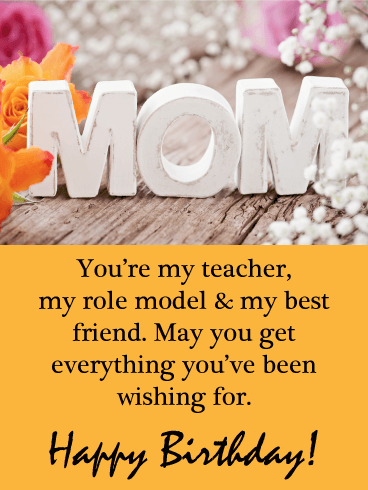 Do you have the best Mom in the world? 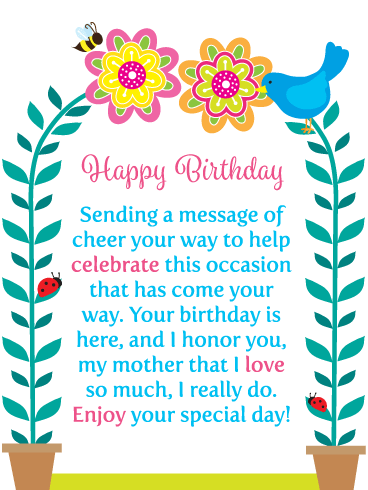 Then, let her know how much you love her with this beautiful birthday card! 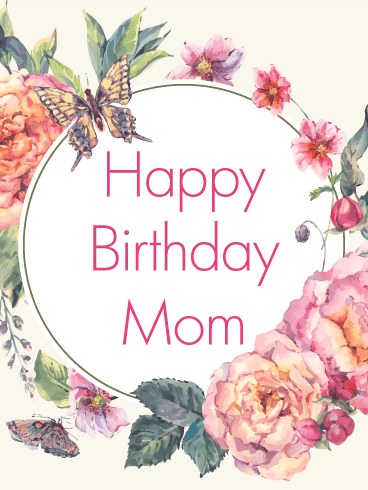 The hand painted blossoms of pretty spring flowers, and the songbirds they attract, will let your Mother know how truly special she is to you. 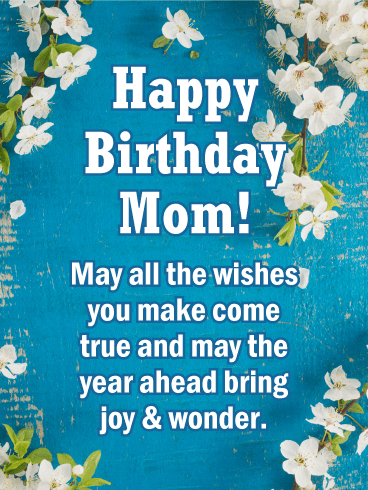 Your mom is amazing and you want to tell her, so send this birthday card to brighten her special day! 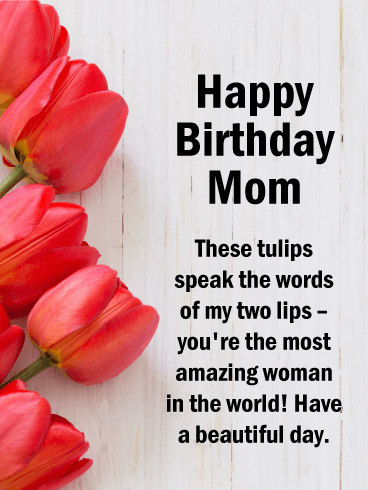 The pretty-in-pink tulip bouquet and sweet note are sure to make her smile. 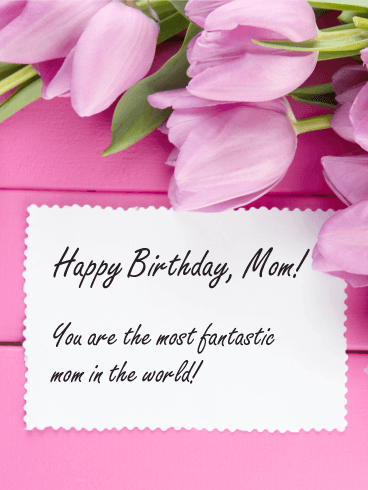 Let her know there is no one in the world like her with this stunning, bright pink birthday card!